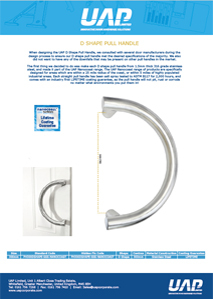 When designing the UAP D Shape Pull Handle, we consulted with several door manufacturers during the design process to ensure our D shape pull handle met the desired specifications of the majority. 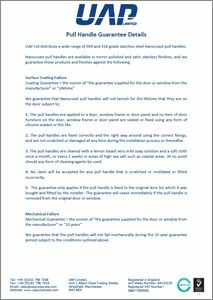 We also did not want to have any of the downfalls that may be present on other pull handles in the market. 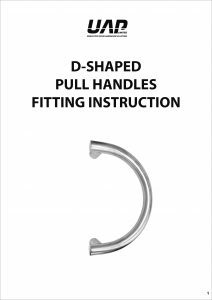 The first thing we decided to do was make each D shape pull handle from 1.5mm thick 316 grade stainless steel, and made it part of the UAP Nanocoast range. The UAP Nanocoast range of products are specifically designed for areas which are within a 25 mile radius of the coast, or within 5 miles of highly populated industrial areas. 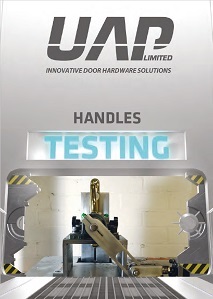 Each straight pull handle has been salt spray tested to ASTM B117 for 2,000 hours, and comes with an industry first LIFETIME coating guarantee, as the pull handle will not pit, rust or corrode no matter what environments you put them in! We then made the pull handle have a much sturdier construction with a 38mm diameter. This also makes it easier to grip the handle, especially for people who have got arthritis or limited hand movement. So with that said, it is a more robust type of bar. We decided against using a thinner up-stand and welding. 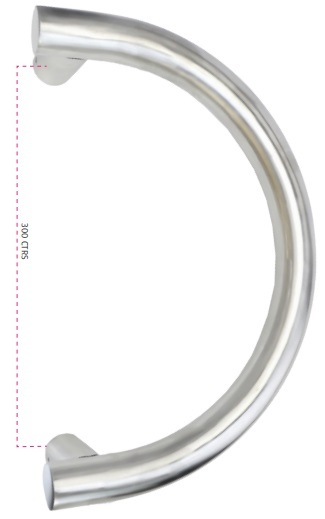 Using a 38mm bar against a 38mm straight bar gives a more robust and better looking product. The bolt through fixing gives a neater finish and as Stainless Steel 316 is used, the product will not rust and so there will be no leakage if it rains. Each D shape pull handle comes with an Allen Key and 2 Allen Bolts on each of the up-stands. The bolts are all made from 316 grade stainless steel. All the pull handles have two fixing points with an individual plate on each.